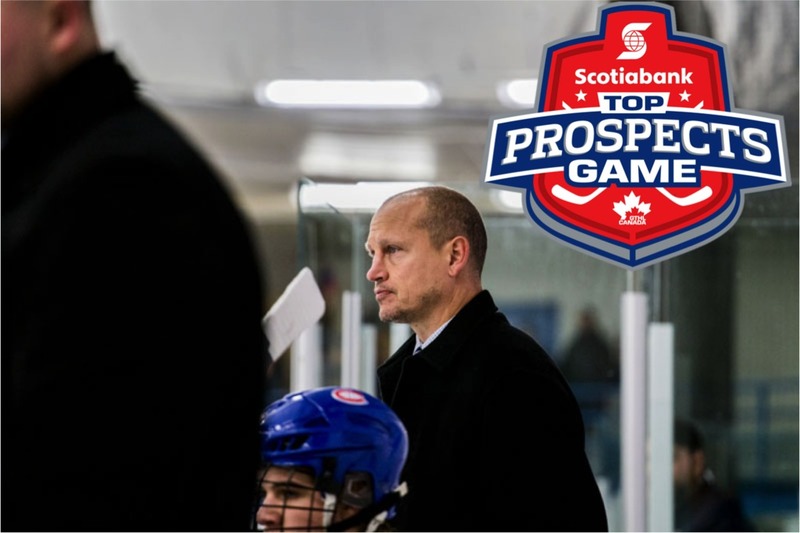 The Greater Toronto Hockey League (GTHL) today announced the details of the 7th Annual Scotiabank GTHL Top Prospects Game. 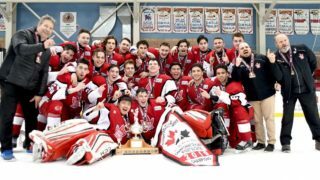 The top 42 Minor Midget AAA players in the GTHL will showcase their skills on Tuesday, Dec. 15, at 7:30 p.m., at Scotiabank Pond in Downsview Park. Tickets are on sale now. Rogers TV cable 10/63 in Toronto will air the game on Sunday, Dec. 20, at 8:00 p.m.
Four celebrity coaches will be behind the benches at this year’s event, including two-time Stanley Cup champion Adam Graves, who returns for his fourth GTHL Top Prospects Game, and NHL alumnus Shayne Corson, who makes his debut at the event. Brothers, NHL alumni and Toronto, Ont., natives Wayne and Keith Primeau will serve as assistant coaches for Graves and Corson, respectively. Advance tickets are available online and at the GTHL office, located inside Scotiabank Pond at 57 Carl Hall Road in Toronto. The GTHL office is open Monday to Friday from 9:00 a.m. to 5:00 p.m. and Saturday from 9:00 a.m.to noon. Tickets are $8 in advance or $10 at the gate. Advance ticket purchase is recommended to avoid line-ups at the arena. No passes will be accepted. Adam Graves played minor hockey with the Toronto Young Nationals and North York Civics in the former MTHL. Graves was selected 22nd overall in the 1986 NHL Draft and played 17 NHL seasons with four teams, winning the Stanley Cup with the Edmonton Oilers in 1990 and the New York Rangers in 1994. He also won the King Clancy Memorial Trophy (1993-94) and the Bill Masterton Memorial Trophy (2000-01). Graves now works in Hockey and Business Operations with the Rangers. Shayne Corson was selected 8th overall by the Montreal Canadiens in the 1984 NHL Draft and played a total of 1,296 regular-season and playoff games over 19 seasons in the League. The three-time NHL All-Star (1990, 1994 and 1998) compiled 273 goals, 693 points and 2,357 penalty minutes in 1,156 regular-season games with the Canadiens, Edmonton Oilers, St. Louis Blues, Toronto Maple Leafs and Dallas Stars. 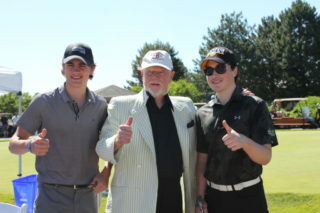 Corson helped the Maple Leafs reach the Eastern Conference Final in 2002 – the last year the club advanced that far in the Stanley Cup Playoffs. Keith Primeau was selected third overall by the Detroit Red Wings in the 1990 NHL Draft after collecting 127 points in 65 games (57-70—127) for the Ontario Hockey League’s Niagara Falls Thunder in 1989-90. He played 909 regular-season games in the NHL for the Red Wings, Hartford Whalers, Carolina Hurricanes and Philadelphia Flyers, compiling 619 points (266-353—619) and 1,541 penalty minutes. He also tallied 57 points in 128 playoff games (18-39—57), reaching the Stanley Cup Final with Detroit in 1995. At 2:35 a.m. ET on May 5, 2000, Primeau ended the longest game in modern NHL history – and third-longest all-time – with his goal at 92:01 of overtime in a 2-1 Flyers victory over the Penguins. Wayne Primeau was selected 17th overall by the Buffalo Sabres in the 1994 NHL Draft and played in 774 regular-season NHL games from 1995-2010, including 59 contests with the Toronto Maple Leafs in his final season. On May 3, 1995, Primeau (18 years, 333 days) became the fifth Sabres player in franchise history to score a goal before his 19th birthday, accomplishing the feat in his NHL debut. He appeared in 90 career playoff games and helped the Sabres reach the Stanley Cup Final in 1999, their first appearance in 24 years. Founded in 1911, the GTHL is a non-profit organization and is the largest amateur minor hockey league in the world. 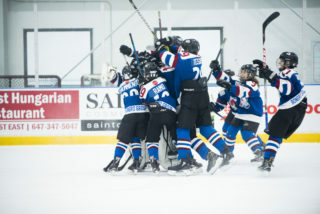 The GTHL registers more than 40,000 annual participants in Markham, Mississauga, Toronto and Vaughan. Scotiabank is the Official Bank of the NHL®, NHL Alumni™, CWHL, Vancouver Canucks®, Winnipeg Jets®, Toronto Maple Leafs®, Ottawa Senators®, Edmonton Oilers® and the Calgary Flames® whose home arena is the Scotiabank Saddledome. The Bank also has a partnership with the Montreal Canadiens®. 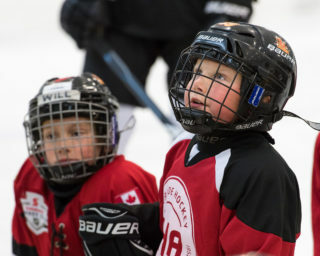 Scotiabank’s Community Hockey Sponsorship Program supports over 5,000 minor hockey teams in communities across Canada. 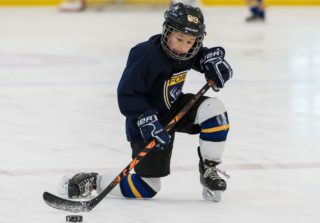 To find out more about Scotiabank’s hockey programs, please visit Scotiabank.com/the5thseason. 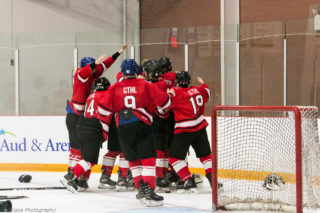 Recap of Team MacLean-Clark’s 3-2 comeback win over Team Kypreos-Graves in the 6th Annual Scotiabank GTHL Top Prospects Game. Recap and scoring summary from Team Graves’ 6-5 shootout win over Team Clark in the 5th Annual Scotiabank GTHL Top Prospects Game.